So now I have this huge freezer stash of breast milk. Woot! Turns out that you have to leave the breastmilk in the fridge overnight to defrost slowly, not run it under very hot water so it defrosts quickly and is ready to use. Hence… I have already stuffed it up and had to tip one whole bag down the drain. (edit: This was totally unnecessary 🙁 I have also since learnt that unless breastmilk smells distinctly off, it is fine! Soapy and metallic are signs of high lipase, though, and different to smelling ‘off’.) Goodness I can’t tell you how terrible I felt. 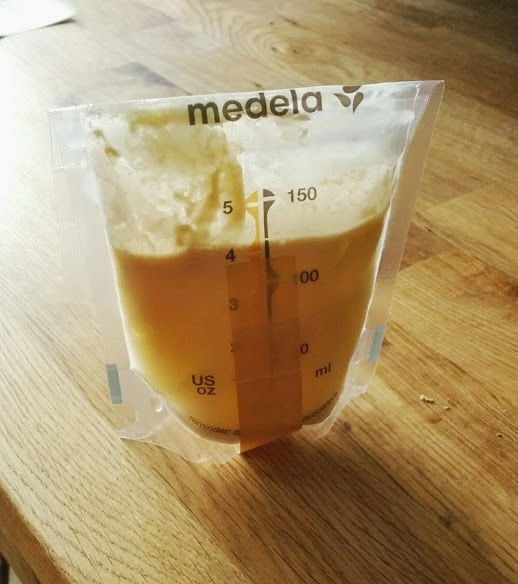 I remember when my husband once was warming around the 10ml of milk I had pumped for my first boy, and the bottle tipped over and spilt into the warm water around it. Almost grounds for divorce. And I just tipped 150ml down the drain. Sigh. I’m so sorry, my wonderful milk lady. This is it! First feed with the other breast milk! I’m having to pay more attention to feeds now. I didn’t used to care so much if I made too much formula and tipped a bit out, but I don’t want to tip out a single drop of this golden substance, especially after the debacle with the first bag. So I am learning that although he makes it through the night with no supplement, he always needs around 40ml about an hour after he wakes up in the morning. I’m also learning that he needs me to be very quiet during feedings right now in order to feed properly, and I am very lucky that my toddler thinks that whispering is an hilarious trick. Haha. 1. It takes longer than overnight for breastmilk to defrost in the fridge. Hence my boy’s first feed with the expressed breast milk wasn’t until around 4pm on the day after I collected it, despite leaving it overnight in the fridge! Since then, I’ve learnt a trick that was originally written about with regard to defrosting turkeys (ha! ): Put the bag of frozen milk into a container of cold water, and then put it in the fridge overnight. The difference is remarkable! Fully defrosted by morning! 2. Don’t shake breast milk vigourously. I did this once out of habit, to about 40ml of milk, though I still fed it to my boy. I figure it can’t be THAT bad. Defrosted, with a lot of fat at the top. 3. Breastmilk can hang around at room temperature for around 4-6 hours. That means that I can be more prepared that I could with formula, which is only good for an hour, and which you need to make up immediately before feeding. So now, when I have time between feeds, I can gently swirl the big bottle of milk in the fridge so that all the goodies evenly disperse and then pour some into the SNS bottle, and stand that in a bowl of warm (not hot! I’m learning!) water to gently come to temperature. 4. Breastmilk looks so cool! It has so much fat in it! Or hers does, anyway. No wonder breastfeeding mamas are so hungry! 5. Breastmilk is sticky. When the SNS tube occasionally comes loose from its valve and a few drops spill out onto my belly, it dries very sticky. 6. I’m not quite as cool with getting another mamas breastmilk on my body as I am with being covered in formula, which is weird, considering. 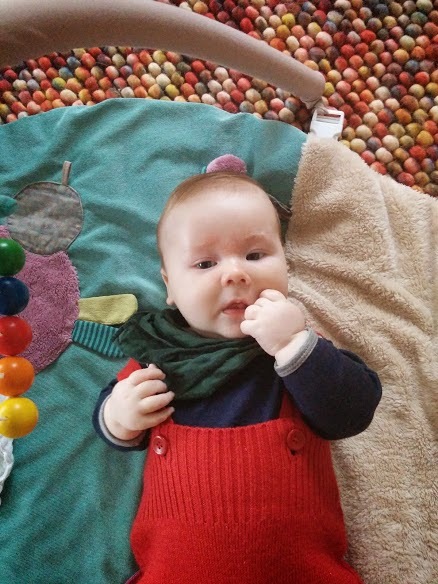 Out of the house with breast milk – How we did it. 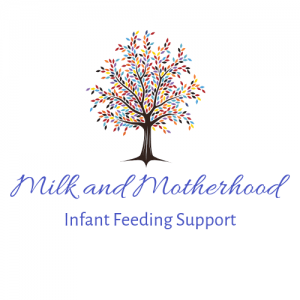 I came across your blog through the English Breastfeeding Support Group. I wanted to share one more trick with you: I recently found out that if you put the bags lying flat in the fridge (so that the milk can move around once defrosted) it is actually possible to thaw the milk overnight. 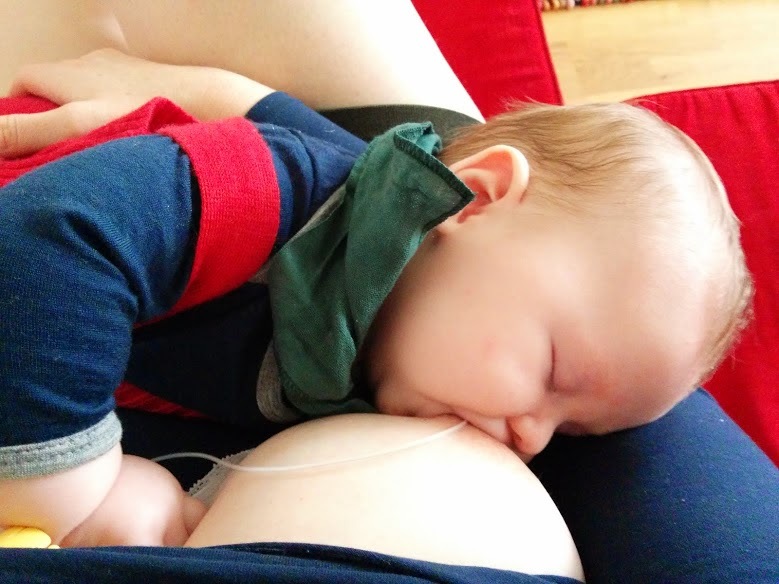 Apparently some babies are also fine with taking cold breastmilk (mine isn't though).